Find a Prescott Sedation Dentist -Trusted Sedation Dentistry Prescott AZ, 86303 Area. Relax - while we perfect your smile. Your care and comfort are our passion. Incredible smiles in complete comfort. Modern sedation dentistry makes it possible to catch up on years of neglect in just one or two appointments. Because you're calmly sedated, Prescott sedation dentist Dr. Spurgeon is able to provide all of the care that you've been missing, restoring your oral health quickly and easily. Ask us about conscious sedation to help relieve the stress of some cosmetic dentistry procedures. We also provide dental implants, cosmetic dentistry and dentures. 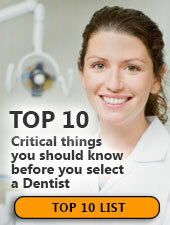 Scheduling regular dental appointments is essential to your overall health. At Prescott Dental Center we know that those who avoid the dentist have an increased risk of tooth decay and gum disease, and that poor dental health can increase your risk of heart disease. Our patients can often get years' worth of dental treatments done in one or two stress-free sessions. Now you can relax through your dental visits. Call us today at (928) 445-2440. Or fill out our online form for easy scheduling. At Prescott Dental Center, we have several payment options and we're available when it's convenient for you. Dr. James Spurgeon has a gentle touch and provides comfortable cleaning for a whiter smile. Offering sedation dentistry in the Prescott, Arizona area, Dr. Spurgeon assures you that a bright, healthy smile is the result of regular, preventative, professional dental cleanings. Convenient Evening and Weekend Appointments! Here at our practice we offer convenient office hours to fit your busy schedule, including Saturday hours! And our office is easy to find. Check here for detailed office hours and a map and directions. If you're looking for an experienced sedation dentist in Prescott Valley, you've come to the right place. Dr. Spurgeon offers sedation dentistry that Prescott Valley residents have come to trust for the highest quality dental care.